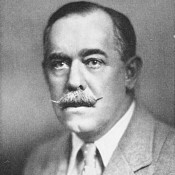 Born in Philadelphia, it was in New Jersey where Tillinghast made his mark and became one of the most-sought-after architects of his day. In 1916, at age 40, he moved to New Jersey and established an office in Harrington Park. Baltusrol, the first contiguous 36-hole course built in America, was considered his most important design in the state. His original New Jersey designs, in order beginning in 1916, include Shackamaxon, Somerset Hills, Essex County, Baltusrol, Suburban, Forest Hill, Suneagles, Ridgewood and Alpine. Reconstruction/extended designs include Spring Lake, Upper Montclair, Glen Ridge, Hollywood and Echo Lake. He also did consulting examinations on Pine Valley, Deal, Cranford and Trenton. Among his notable other projects were Bethpage State Park, Winged Foot Golf Club, Newport Country Club and the San Francisco Golf Club.